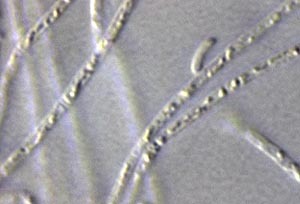 "Thermophiles" are microorganisms with optimal growth temperatures between 60 and 108 degrees Celsius, isolated from a number of marine and terrestrial geothermally-heated habitats including shallow terrestrial hot springs, hydrothermal vent systems, sediment from volcanic islands, and deep sea hydrothermal vents. -Encyclopedia of Environmental Microbiology, 2002. vol.3. Why are thermophiles hot ? 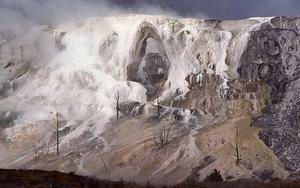 Mammoth Hot Springs, located in Yellowstone National Park, is an ecosystem of interacting microbes, geochemistry, and mineralogy. Brightly colored minerals and thermophilic bacteria and algae give the active springs their color, where as when they dry out the remaining travertine is typically white to gray in color. NPS photo taken by J. Schmidt courtesy of the Yellowstone Digital Slide File. 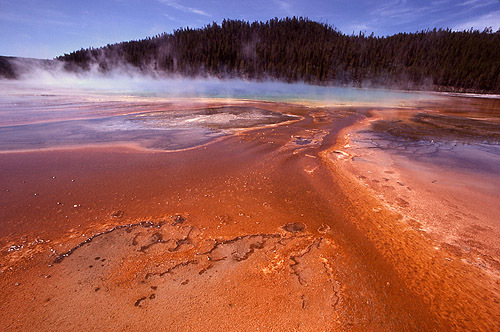 In 1966, Thomas Brock made the remarkable discovery that microorganisms were growing in the boiling hot springs of Yellowstone National Park. Since Brock's discovery, thermopiles have been discovered in geothermal features all over the world including areas in Iceland, Kamchatka, New Zealand, Italy, Mt. Lassen, and other locations. While boiling hot springs are far beyond the comfort zone of humans and other animals, life, especially prokaryotic life, is able to adapt to environments that would prove fatal to most other lifeforms. Grand Prismatic, located in the Midway Geyser Basin of Yellowstone National Park, is the largest hot spring in the park and the third largest in the world. 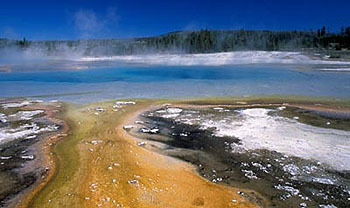 Only hyperthermophilic bacteria and archaea are able to live in the nearly boiling water of this hot spring. Extensive orange and brown microbial mats radiate from the pool. NPS photo taken by J. Schmidt courtesy of the Yellowstone Digital Slide File. 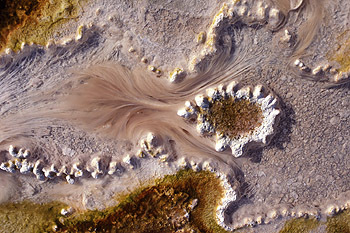 All thermophiles require a hot water environment, but some thrive in more than one extreme, such as those with high levels of sulfur or calcium carbonate, acidic water, or alkaline springs. What enables an organism to thrive in habitats where the temperature is sometimes as hot as 140 degrees C (284 degrees F)? Regardless of varying environmental conditions, the ability of thermophiles to thrive in extremely hot environments lies in extremozymes, enzymes geared to work in extremely high temperatures. The amino acids of these extremozymes have special tricks to retain their twisted and folded 3D structures in high heat, where other enzymes would unfold and no longer work. Soon after their discovery, the heat-stable enzymes of thermophiles proved to be very important to the field of biotechnology ( This site may be offline. ) . For example, two thermophilic species Thermus aquaticus and Thermococcus litoralis are used as sources of the enzyme DNA polymerase, for the polymerase chain reaction (PCR) in DNA fingerprinting. As thermophiles have become increasingly important in biotechnological research, the number of bioprospecting groups searching for useful organic compounds in nature have dramatically increased as well. 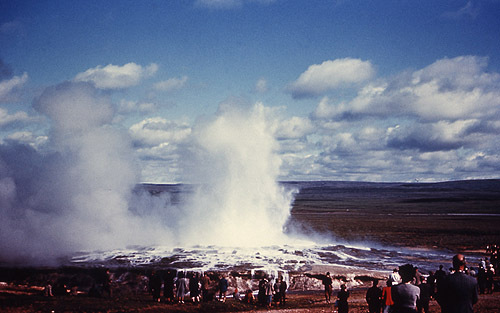 Consequently, concerns over preservation of biodiversity and natural resources as well as profitting research results have given way to benefits-sharing agreements (more info) , such as the Cooperative Research and Development Agreement between Yellowstone National Park and the Diversa Corporation. 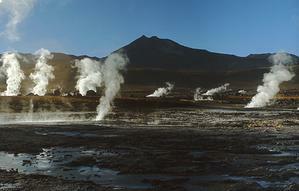 Geothermal area in El Tatio Chile. NPS photo courtesy of the Yellowstone Digital Slide File. 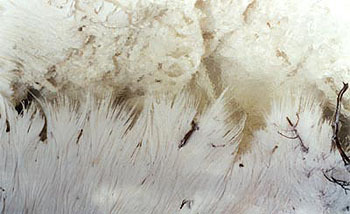 Scientists in the biotechnology field are among many groups of researchers taking an interest in thermophiles. Astrobiologists, including researchers from NASA, suggest that hot springs all over the world provide some of the best "doorways into early Earth." Many scientists believe that life might have begun roughly 3 billion years ago in high temperature environments and that the first organisms might therefore have been thermophiles. Not only does this give insight into the origin of life on Earth, but opens up a new realm of possibilities for life elsewhere in the universe. General Collection: Resources such as news articles, web sites, and reference pages provide a comprehensive array of information about thermophiles. Yellowstone National Park: With over 10,000 geothermal features all being driven by volcanism and an underlying hotspot, Yellowstone National Park is home to a wide variety of thermotolerant and thermophilic organisms. Iceland: Situated along the mid-ocean ridge of the Atlantic Ocean, Iceland is a geologic "hot zone". Thermophiles can be found colonizing a variety of geothermal features including hot springs, mudpots, fumaroles, and geysers. 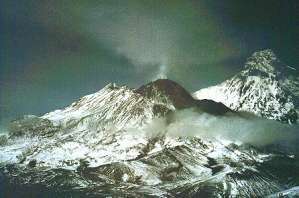 Kamchatka: The Kamchatka Penninsula, located in far east Russia, is a recent "hotspot" for thermophile research with over 30 active volcanoes, numerous geothermal features, and a constantly evolving landscape. For additional resources about Thermophiles, search the Microbial Life collection.